O2 Concepts was built around one goal: design and build an innovate portable oxygen concentrator to give respiratory patients the freedom and independence they deserve. This goal is met by the Oxlife Independence portable oxygen concentrator, a high quality, lightweight device that makes it possible for users to travel and live an active lifestyle. Its patent-pending technology and simple interface make it easy to use while its integrated cart and durable case make it ready to go wherever life may take you. The company’s staff works tirelessly for continuous improvement and excellent customer service in order to improve the qualty of life for patients with COPD or other respiratory disorders. After discovering the challenges facing patients with chronic obstructive pulmonary disease (COPD), Dikran Tourian wanted to provide a solution better than the bulky oxygen products on the market. In 2008 he founded O2 Concepts with the vision to design and build an innovative and ‘best in class’ dual mode portable oxygen concentrator. His goal was to create a product that could go from the bedroom to the golf course, even if that golf course was across the Atlantic Ocean. The device would have to be able to deliver the necessary purity and flow of oxygen that COPD patients require no matter what the circumstances. Tourian recruited the help of Gyre 9 president Ed Gilchrest and industry sales veteran Jeff Kerven to make this vision a reality. They began a two year journey that lead to the acquisition of the intellectual property of Oxlife, LLC, which they determined was the most efficient and capable oxygen concentrator design in existence. Establishing a cost competitive product while implementing higher benchmarks for quality required building a state-of-the-art factory facility specifically designed to manufacture the Oxlife Independence. On June 18, 2010, O2 Concepts broke ground for a manufacturing and test facility in Newtown, CT, for their manufacturing and test facility. A year later the first OxLife Independence Concentrators came off of the assembly line on August 1, 2011. Now that the product was designed, the company needed an organization to spread the word to the patients who needed it, so Tourian and Kerven set out to assemble the industry’s finest sales organization. 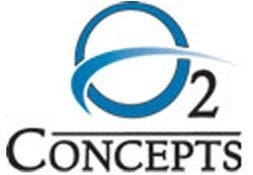 O2 Concepts was approached by the oxygen industry’s most experienced respiratory sales representatives who had heard abou the Oxlife and wanted to be a part of the effort. Cumulatively, the sales leadership team possesses 60+ years of oxygen sales experience, and the 36 member sales team is comprised of the most talented resources in North America. On September 15, 2011, O2 Concepts shipped its first orders of the OxLife Independence, less than three years after Tourian’s initial vision. O2 Concepts Oxlife Independence is available for sale through authorized medical equipment dealers across the U.S.
O2 Concepts is dedicated to customer quality and the success of oxygen patients worldwide, and this dedication shows in the quality of their products and attention to customer service. The Oxlife Independence is the finest portable oxygen concentrator in its class. Its innovative design and convenient size helps to increase the longevity and improve the quality of life of COPD patients while restoring their freedom. This all-in-one portable oxygen concentrator offers a sleek design and provides users a high performance, versatile alternative to traditional portable oxygen concentrators, giving them the independence and quality of life they deserve. The Oxlife is small, portable, lightweight (17 lbs.) and easy to operate. It fits easily into a car and is FAA approved to be safely carried on board a plane. It also comes with a unique integrated cart that allows it to be the most agile and smallest product in its category. The Oxlife Independence was designed to be patient-friendly and uncomplicated. It operates similar to a home oxygen concentrator and is capable of delivering a continuous flow of up to 3 liters per minute and a pulse dose of 0.5 to 6 liters per minute. The Oxlife offers the longest battery duration in its class and can last up to 6 hours without needing to be recharged. A battery indicator clearly lets you know when it is time to charge or change the battery and it can even be charged while in use. With options like this, you can literally be Independent to travel anywhere and participate in life’s activities to the fullest each and every day. The Oxlife has a convenient control panel, easy wipe and clean maintenance and a 3 year warranty. It also comes with a uniquely robust case to protect against the occasional bumps and scrapes that occur as part of an active life. With all these benefits and patent pending ESA technology, the Oxlife Independence is the perfect One Solution for oxygen patients worldwide.